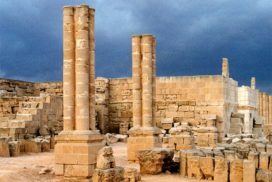 Jericho, The City of Palms, is the oldest inhabited city on earth, with excavations at the TEL AL-SULTAN ruins showing Jericho settlements dating back to as early as 10,000 BC. It has an abundance of water sources and it is believed that the fresh spring water at TEL AL-SULTAN is the reason for early inhabitance in Jericho. Its original name, perfume, (Yereha), signified its lushness and is preserved in its present Arabic name, ARIHA. 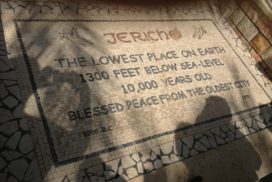 Because it is near the Dead Sea, which is more than 400 meters below sea level, Jericho stays warm throughout the year. Jesus Christ walked through streets of Jericho during his several visits to the town. It is a wonderful area for touring monasteries and historical sites, for hiking enthusiasts, Jericho has enjoyable scenic routes. 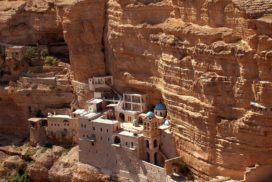 One of the majestic sites in Jericho is the Monastery of St. George, carved out of a canyon wall overlooking the Wadi Qelt gorge. This Greek Orthodox monastery was originally built in the fifth century as a spiritual center for hermits. Another majestic site is Hisham Palace. This beautiful desert ruin of Umayyad Caliph Hisham Ibn Abdul Malik was completed in the eighth century. Hisham Palace contains royal buildings, as mosque, fountains and spectacular mosaic floors. Tourists enjoy the remarkable open-air presentation with a walking tour through temples and lush mosaics. Many of the most delicate artifacts from Hisham Palace are at the Rockfeller Museum in Jerusalem. QUMRAN, which is about 20 kilometers south of Jericho, is the site of the Monastery of Essenes, where more than 2000 Dead Sea scrolls were founded by an Arab Shepherd in the late 1940s. Nabi Musa is a beautiful 12th century mazer (pilgrimage shrine) on the old pilgrim road. Believed to be the spot where the prophet Moses is buried, it is named after him. From Nabi Musa a track runs due west to the Byzantine cave monastery in Wadi Mukelik and continues on to Khan el-Ahmar. 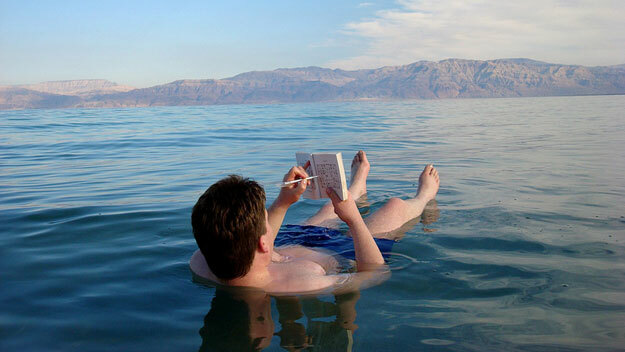 Dead Sea, located in the south of the Jordan Valley, the salty closed sea 400 meters below sea level is the lowest spot on earth. The scenery on the shores of the sea is particularly enchanting. The Dead Sea is famous for its extraordinary salt and mineral content, which many people say makes it a natural healing agent for skin problems. People from around the world have been visiting the Dead Sea for many years for curative treatments and to enjoy its relaxing waters.